Just in time for the 2017 All-Star Game, adidas unveils the ‘Legends Pack,’ featuring the next generation of the Icon cleat and Icon Turf Trainer. The 2017 Icon 3 featuring BOOST is the first baseball cleat to feature full-length BOOST, allowing for maximized energy-return. 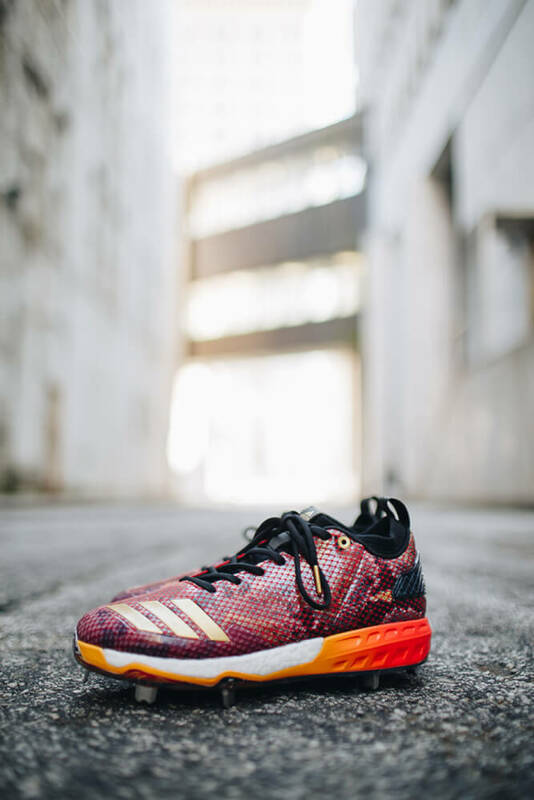 Additionally, the ‘Legends Pack’ introduces the first clear-plated adidas cleats with graphic patterns beneath the plates and the first adidas baseball cleats that feature linen, suede, faux fur and faux alligator materials. 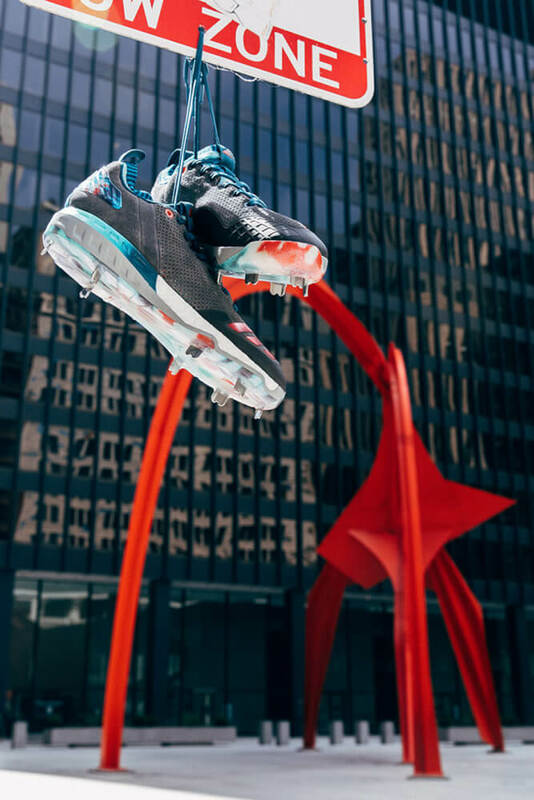 With inspiration from five of America’s favorite cities: Miami, New York, Los Angeles, Chicago and Atlanta, the special edition cleats and trainers pay homage to the unique cultures of each city. Miami – A white faux alligator heel nicely accents a white linen upper, while a contrasting bright, Wynwood district-inspired graffiti-print that highlights a palm tree at sunset projects a postcard type feel of the city. 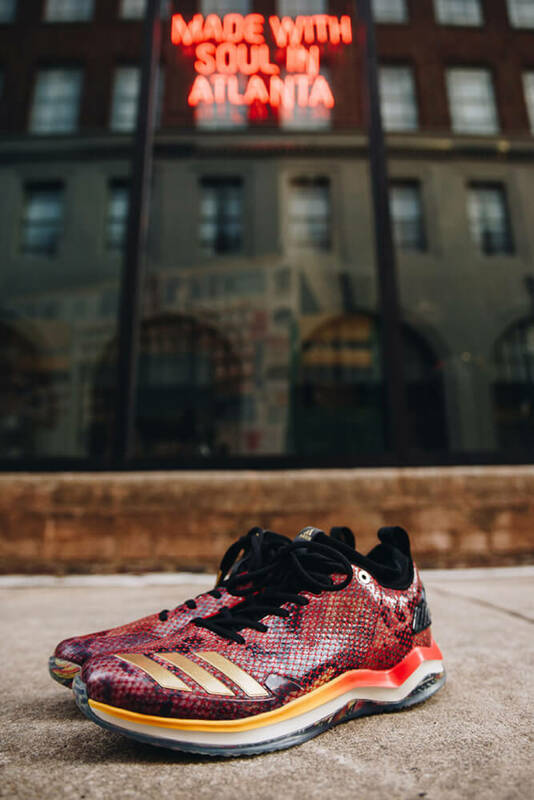 That same print pattern makes an appearance on the iconic adidas three stipes. The distinctive brown pull tabs and a matching sockliner were inspired by classic cigar paper with gold foil lettering to top off the look. New York – A woven graphic upper inspired by colorful knit sweaters and a suede, wheat-colored heel sits atop a clear plate with a matching sweater pattern graphic bottom. A graffiti ‘adidas’ sockliner and rope laces tie the cleat together and complete the tribute to the style and flare prominent in Brooklyn in the late 1990’s. Los Angeles – A wrap-around fuzzy dice heel, accented with chrome ‘Three Stripe Life’ clips are blended with a plaid woven graphic upper to capture a scene straight out of Los Angeles. Additional details include low-rider-inspired pin striping on the lateral-side and bottom of the cleat, along with a graffiti-themed adidas sockliner. Chicago – A vibrant blue bootie peeks out from under a gray suede upper, representing the lively, colorful fashion seen amidst the gray skyscrapers and skies of Chicago during harsh cold winters. A tie dye-influenced heel and cleat bottom emphasize the resilient spirit of the city and a custom sockliner features a Lake Michigan-inspired print. Atlanta – The red, faux snakeskin cleat was inspired by the well-dressed, dapper culture of Atlanta. A pink fade on the midsole represents the peaches that Georgia is known for, while the floral print on the heel, sockliner and bottom of the cleat round out the ‘suited and booted’ vibe. If I could rank them, I’d start with Atlanta, then Miami, then NY, then LA, then Chicago. The Atlanta faux-snakeskin looks hot AF in my opinion, Miami is clean, and NY is sort of growing on me which I can’t really explain. The ‘Legends Pack’ will be available July 10 at adidas.com. The 2017 Icon 3 cleats will retail at $120 and the 2017 Icon Turf Trainers at $100.